3. Why does Willaston Parish Council believe we need a Neighbourhood Plan? The Parish Council believes a Neighbourhood Plan will allow Willaston to influence the future use of our land thereby preserving the village environment that we enjoy today. a. This formally defines the area the Neighbourhood Plan will cover, and seeks Cheshire East Council approval. It is difficult to estimate at this stage, but we believe it will be in the region of £13,000 to £15,000 for Willaston. Grants as available to help fund the plan. 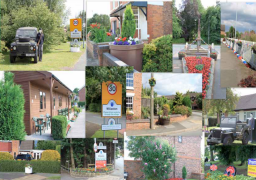 Unlike the Willaston Parish Plan produced in 2009, a neighbourhood plan becomes a formal part of the planning system. It forms part of the Local Development Plan and sits alongside the Local Plan prepared by the local authority. Planning applications will need to be decided against both the Local Plan and any appropriate neighbourhood plans, and any other material considerations. Cheshire East Council expect to conclude and adopt their local plan during 2016. A planning consultant or other planning professional, an employee of another local authority or a planning inspector, will be appointed by the Cheshire East Council, but with the appointment agreed by the parish council. The purpose of the examination is to ensure that the plan has been prepared in accordance with the law and is consistent with national policy and in general conforms with the strategic policies of the Local Plan. Some Local Planning Authorities (LPAs) in the process of preparing their Local Plan have clearly identified their strategic policies in their draft Local Plans. This can provide clarity to the neighbourhood plan making process and examination.